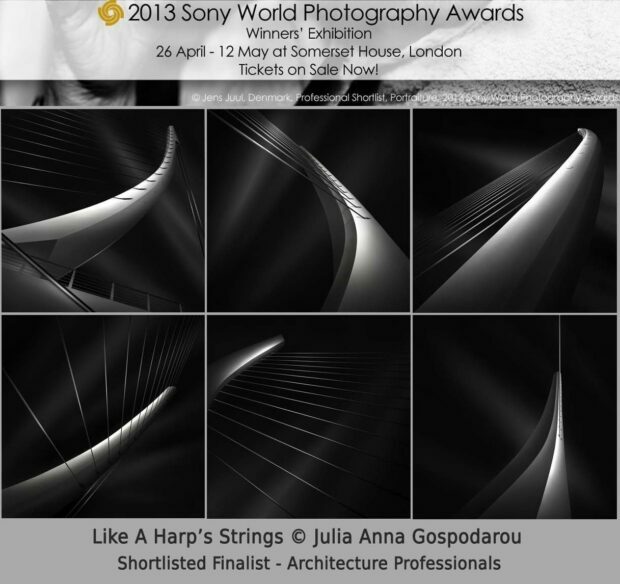 I am very proud that my “Like A Harp’s Strings” series will be exhibited at Somerset House, London in the SWPA 2013 Winners Exhibitions as shortlisted finalist series in Architecture Professionals category. If you are there April 26 to May 12 go have a look. I don’t know if I will make it as I will be flying back from San Francisco around the opening date and pretty difficult to travel again so soon, but you can tell me how it was. “Experience the very best contemporary photography from around the world with the 2013 Sony World Photography Awards Exhibition. Showcasing the winning and shortlisted photographers from the awards, the exhibition spans photojournalism, fine art and commercial photography. The show will be curated by Michael Benson.